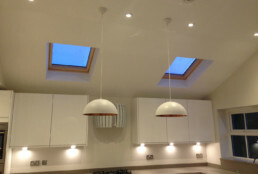 We built a single story extension to the rear of this semi-detached property with a high pitched ceiling and Velux windows. 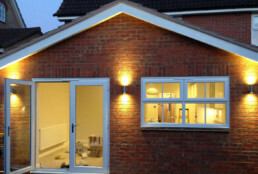 The extension included french doors which open out onto the garden area. 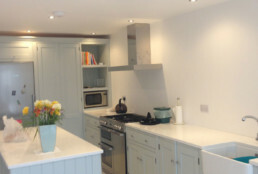 A bespoke kitchen with granite countertops was installed to the clients specification.